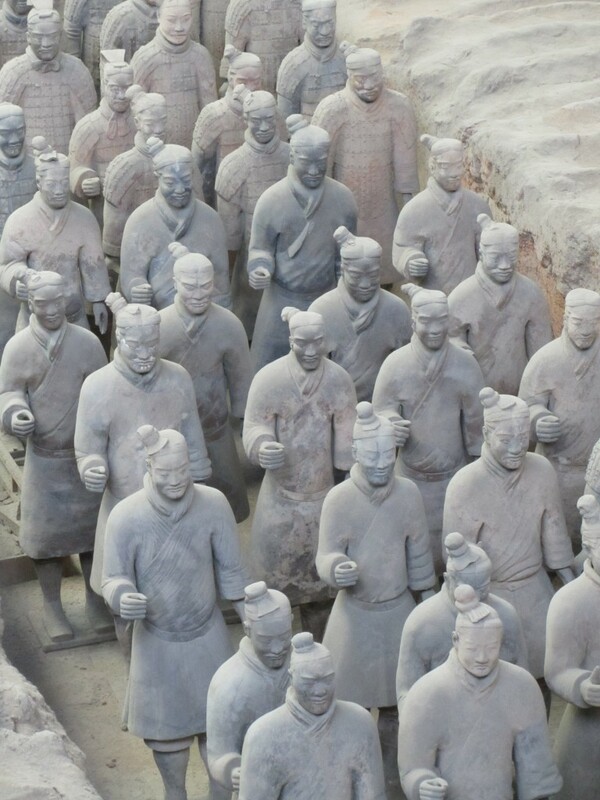 The Tang Dynasty (618-907 CE) is considered the most glorious period in Chinese history. 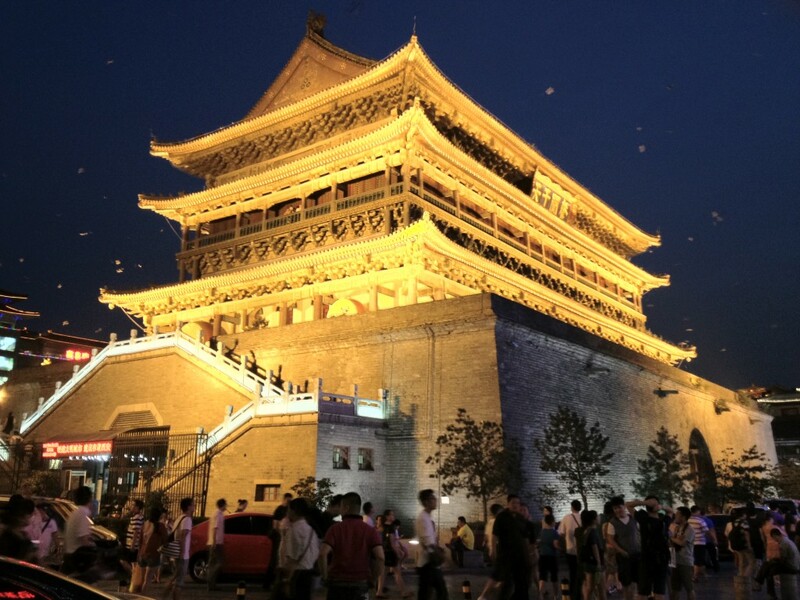 With its Capital of Chang’an present day Xi’an, China became the most prosperous country in the world and Chang’an (Xi’an) the most important city in the world. 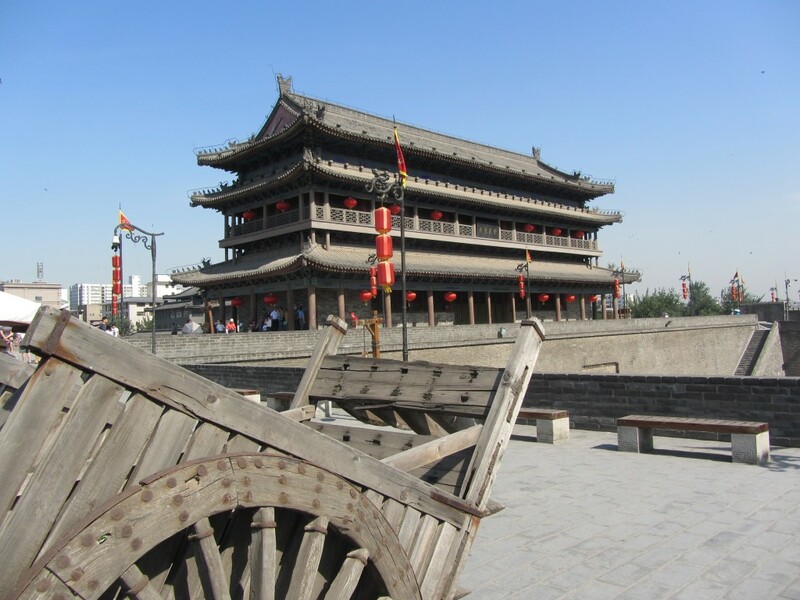 The Glorious Period was ushered by Emperor Taizong Li Shimin wise governing, the economy flourished, China opened up to foreign trade and influence, politics, military strength art and culture reached an advance level. 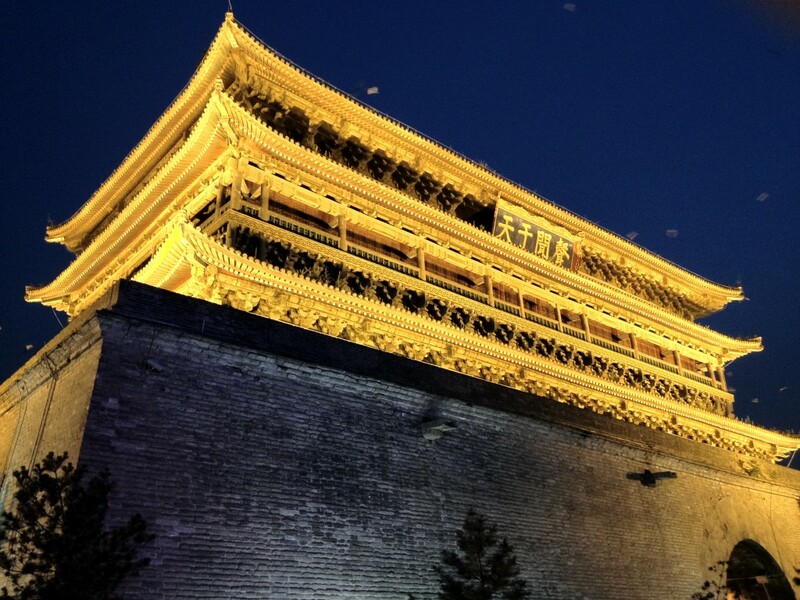 Today Xi’an is trying to revive the glory days by developing a vibrant center of industry, commerce, tourism and learning institutions. Built around the historical city core, on a vast plane, the city high-rise buildings rise above the horizon like an endless concrete forest. At the macro scale the city arterial streets are elegant boulevards, lined with trees and dotted with many parks. 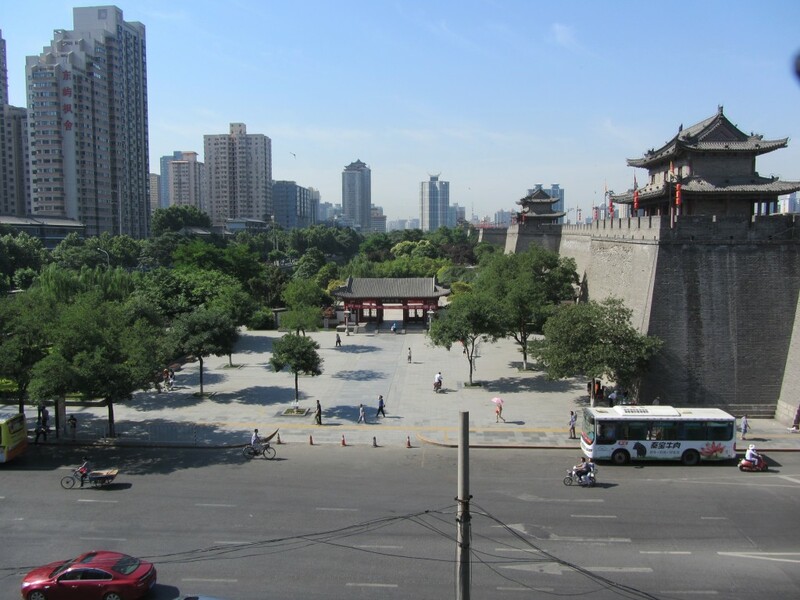 Xi’an aspires to be the Greenest city in China. 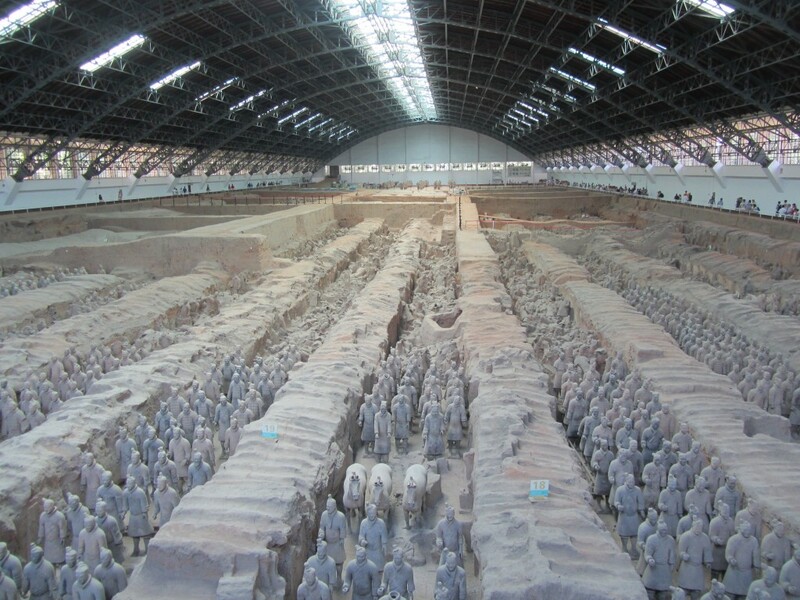 Located just outside the city of Xi’an, the Terra Cotta Warriors and Horses Museum, is the most significant archeological excavation of the 20th century. Discovered by farmers digging a well in 1974 and painstakingly excavated and restored ever since by archeologists, the life size Terra Cotta figures arranged in full battle formations are a true replica of the Imperial Guard of Emperor Qui Shi, who ascended to the throne at age 13 in the year 245 BCE and thereafter united all of China under his rule. Shortly after ascending to power the Emperor started constructing his Mausoleum with a mobilized work force of Seven Hundred Thousand. It is believed that upon completion the Emperor killed them all as to not reveal the secrets of the burial Mausoleum and it’s protecting Imperial Guard. Each warrior is dressed according to his rank with unique facial features and head. The Warriors, Horses and Chariots were painted in vibrant realistic colors and branded weapons made of wood. The wood weapons did not survive the ravages of time and the paint pigment quickly disappeared after being exposed to light and atmosphere.